Another week, some more summer listening — in this case, two recordings that I’ve owned for years, and revisiting them made me very happy… so I thought I’d share. But as a jazz musician (pianist, mostly), I love him. His musical sophistication always shines, notably in his ability to isolate unexpected themes and play with them in surprising, fresh ways. Previn, now in his mid-80s, is still actively doing jazz, but his most prolific period was the 1950s and ‘60s, where in collaborations with two other stellar jazzmen (drummer Shelly Manne, double-bassist Red Mitchell), he made a series of albums reinterpreting various musicals and American composers that sound as sparklingly fresh today as they did when they were made. Their My Fair Lady album became a bestseller, and it’s terrific – but my favorite is Pal Joey. Every selection is a delight (this group is equally adroit and imaginative in ballads and up-tempo numbers), and of course it’s first-rate material. Click here to sample “Bewitched, Bothered and Bewildered” – it begins surprisingly straightforwardly, but three minutes into it, Previn is deconstructing and reconstructing in ways that are… well, bewitching. It may be that the great mezzo, Florence Quivar, needs an introduction. She shouldn’t, since for more than two decades she was one of America’s supreme classical singers, and had an important career in major venues — 100 appearances at the Metropolitan Opera between 1977 and 1997, for example. But I don’t think the Met used her as imagintively as they could have, and she probably achieved greater fame (and worked more often) as a concert singer (to hear how good she could be in opera, sample this performance of “O don fatale” from Don Carlo – it’s thrilling!). And she was indeed glorious in concert, perhaps nowhere more so than in the spiritual group she often programmed to conclude an evening. Of course, many singers of color have made this a tradition – beginning with Marian Anderson and Roland Hayes (and perhaps before), they include Leontyne Price, Martina Arroyo, Jessye Norman, the woefully underappreciated Dorothy Maynor, Kathleen Battle, Simon Estes, and recently Lawrence Brownlee. But this repertoire is very tricky to get right in a concert context. Spirituals, like bel canto arias, call for ornamentation and personalization – but not too much (and how much is too much?). Many are written in dialect, which is very far from the mid-Atlantic pronunciation classical singers are taught to use in English, and again – it needs to sound relaxed and natural, or it can be embarrassing. And this great music is also vocally challenging. In my experience, in this rep, Quivar was the greatest of them all. Try her in this group of four songs, from a California concert I was lucky enough to attend. 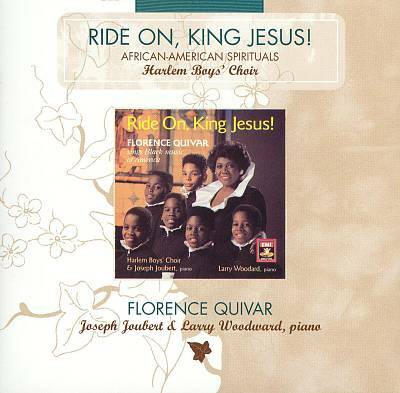 Happily, she made a recording of spirituals that captures her in top form. Every one of these performances is a little jewel, with Quivar in sovereign form – vocally resplendent and the mistress of style and taste. Arrangements are also excellent and varied – some include the fine Harlem Boys Choir, others are more intimate. It’s a record that I’ve owned and listened to regularly for 25 years, but every time I go back to it, it still knocks me out. See if it doesn’t do the same for you! 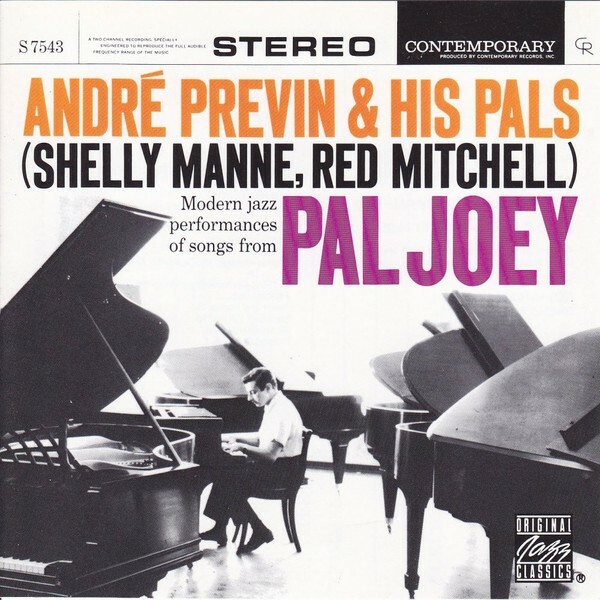 Yes – Pal Joey is the best of the Previn/Manne/Mitchell showtunes records. I think they just alternated leaders’ names between Manne and Previn, and Manne lucked into the My Fair Lady one.